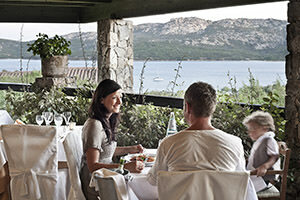 Make the most of the family offers at the Park Hotel Cala di Lepre, the Palau hotel for families which is a short distance from the Costa Smeralda and which looks out over the La Maddalena Archipelago, perfect for spending holidays with children by the sea. and the first child aged up to 5 is FREE! 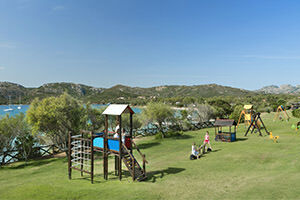 Why is the Park Hotel Cala di Lepre a family-friendly hotel? At the Park Hotel Cala di Lepre, Delphina’s sports hotel, we love to have fun and give the whole family an unforgettable holiday. A world made-to-measure for children with plenty of green spaces for running about and playing in freedom and a beach with shallow crystal clear water just a few steps from the hotel pool. The fantastic Leprottoland baby and mini club is dedicated to children from 3 to 14 years of age while Mum and Dad can use the free nursery bottle service and push-chair hire so as to travel more easily without sacrificing comfort. There is also a wide range of facilities designed for “bigger” guests including sports activities, entertainment and a SPA where you can indulge yourself with the most relaxing moments of your well-deserved holiday in Sardinia. What is the Family Offer? 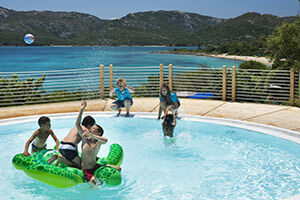 Choose the family offer when booking and get ready to enjoy a worry-free holiday!